I’ve shared before that I don’t think sentimental or heirloom pieces should be locked away. While I understand the need to protect certain pieces, I think we get much more joy from them when we actually use them. 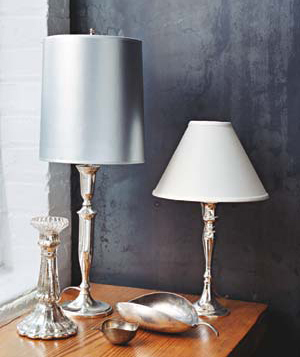 Real Simple.com has an article called “Simple, Practical Uses for Silver,” and I loved their ideas for using silver around your home in unique ways. It also got me thinking about other ways to incorporate family heirlooms and antiques — as well as pieces like china and crystal that may not be used every day — into our home decor. 1. Hang china on the wall in dining rooms, kitchens and even bedrooms as beautiful wall art. 2. Frame silverwear and hang it on the wall a la Nesting Place. 3. 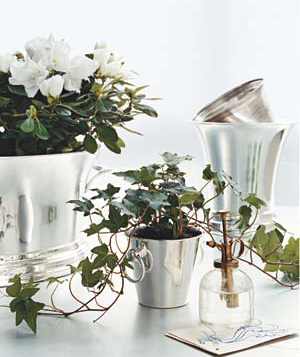 Use a crystal vase or tray to add an element of surprise and sophistication to casual kitchens and bathrooms. 4. 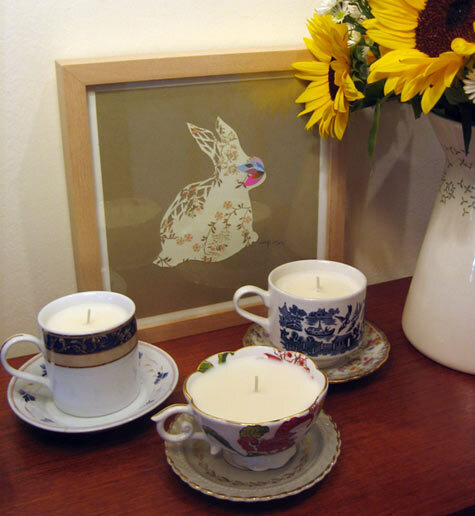 Make candles out of old tea cups to give as gifts or brighten up a guest room. 5. 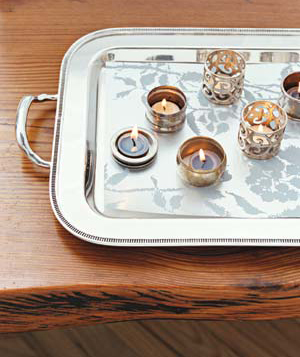 Use silver trays to show off a collection. Do you have any heirlooms or antiques displated in your home in unique ways rather than stored in a cabinet where they’re unused and unappreciated?